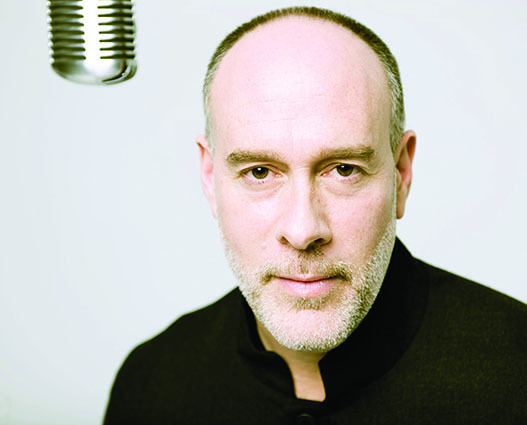 Grammy Award-winning singer-songwriter Marc Cohn will perform at Pepperdine University's Smothers Theatre in Malibu on Saturday, January 16, at 8 PM. Cohn has been known to combine the precision of a brilliant tunesmith with the passion of a great soulman. He is a natural storyteller, balancing the exuberant with the poignant, and he is able to distill universal truth out of his often romantic, drawn-from-life tales. Cohn's career took off in 1990 with the recording of his critically acclaimed, self-titled debut album, which yielded such classics as "Walking in Memphis," "Silver Thunderbird," and "True Companion." He won the Grammy Award for Best New Artist in 1992. He has been obsessed with pop music for as long as he can remember. "I was hooked from day one," he says. "My older brother had a band that rehearsed in our basement, so I heard [Burt] Bacharach, the Beatles, Ray Charles, and Motown coming up through the floorboards from the time I was six years old. By the time I was 11, though, the Beatles were breaking up and singer-songwriters were breaking through, and a lot of that music really resonated for me." Cohn's 2010 recording, Listening Booth: 1970, represents a continuation of a creative resurgence brought on by one of the strangest and scariest events of his life. In 2005, while driving back to his hotel with his band and tour manager after a show in Denver, Cohn was shot in the head by a would-be carjacker. Although the bullet had to be removed from his left temple, it miraculously missed penetrating his skull by a centimeter, causing no physical damage and allowing him to be released from the hospital the next day. After working through a bout of post-traumatic stress syndrome, Cohn has been busier than ever. Ending a nearly 10-year absence from the studio, he released one of his most critically acclaimed records, Join the Parade, in 2007 and followed it with well over 150 shows across the country. Listening Booth: 1970 brought Cohn back to where he began--writing songs like "Walking in Memphis" that spoke so eloquently about the transformative, healing power of music. Like that hit single, Listening Booth: 1970 is really the soundtrack to his life. He reflects, "It seemed like such a natural progression for me to do a record like this because, if you've been following my records from my first single, I have been paying tribute to musicians through my writing all along; from Al Green to Elvis to Levon Helm to Charlie Christian, it's really been a touchstone for me. Now I'm just repaying a debt of gratitude to the artists who've changed my life and taught me how to do what I do." Tickets, priced starting at $20 for the public and $10 for full-time Pepperdine students, are available now by calling (310) 506-4522 or on the Center for the Arts website.